A very handsome Stellar's Jay came out of the shadows a few times for pictures. 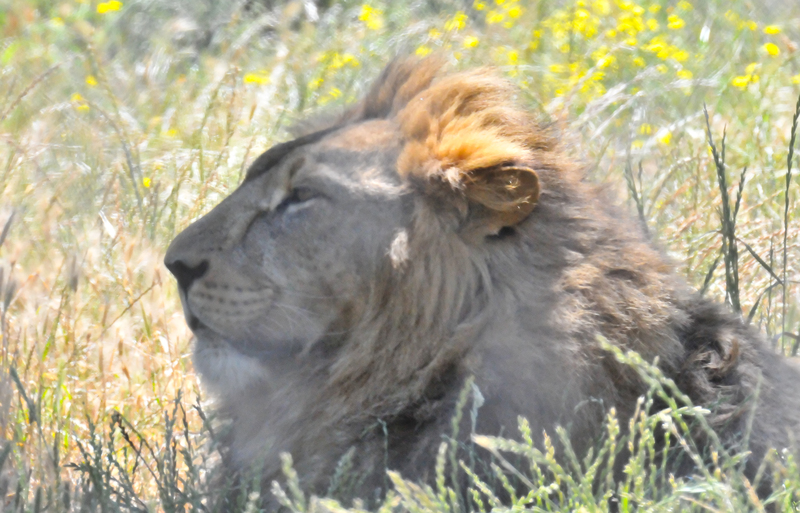 The rest of the time, he and his buddies were very busy foraging in the shaded trees and bushes. 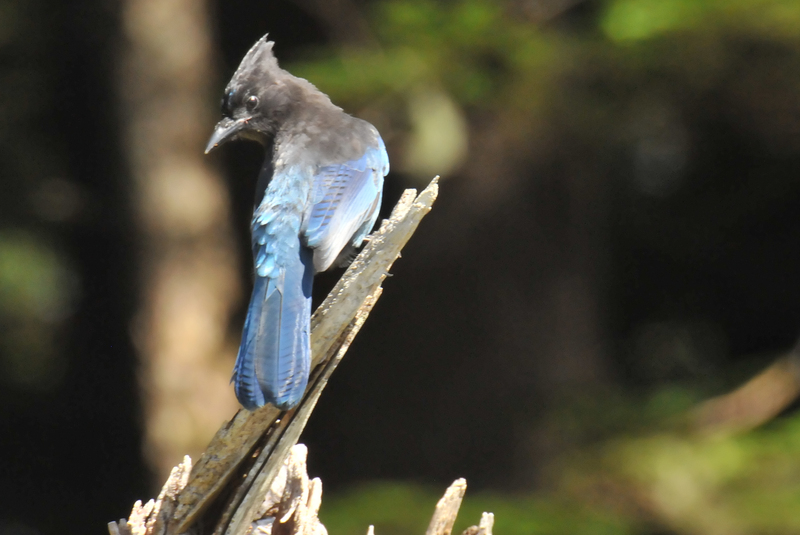 There were four Stellar's Jays busy foraging where the forest met the beach. 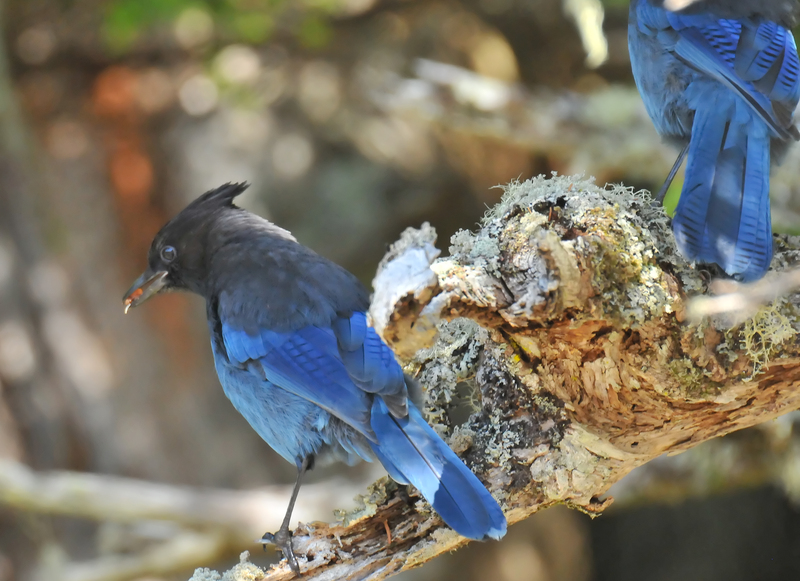 Alaska can be very quiet at times, but not with jays around! 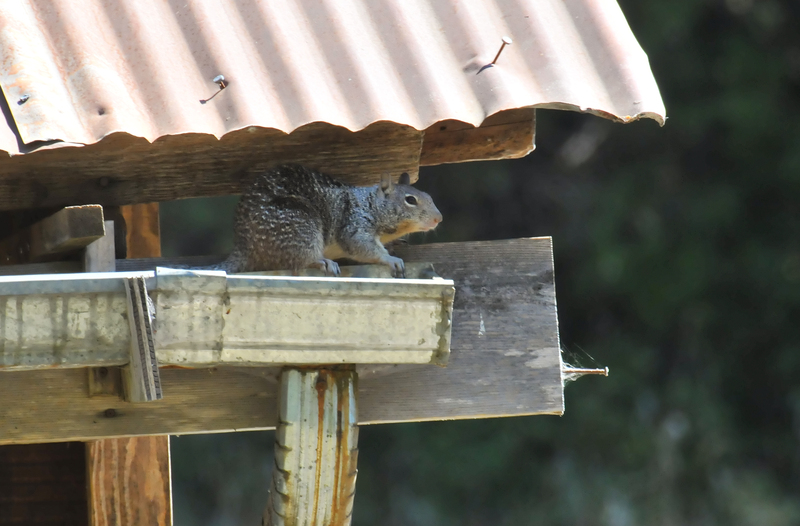 The Pisgah Arboretum barn is home to a few ground squirrels, but this one seemed to have loftier goals than just staying on the ground. 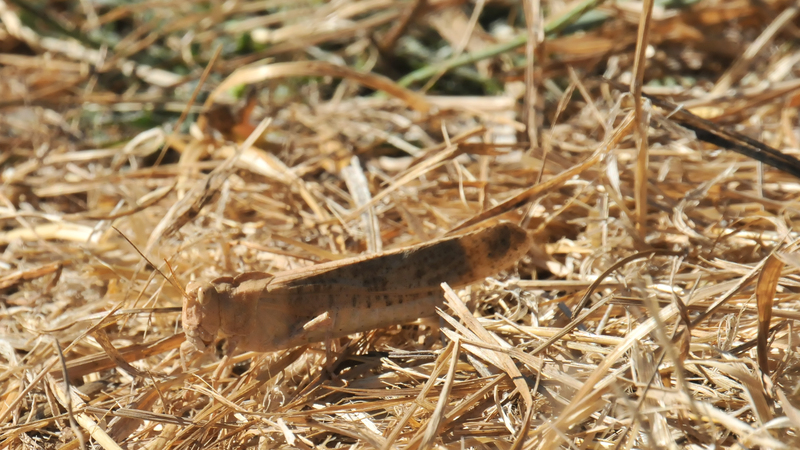 This grasshopper was about 5 cm (2 in) long and flew past us and landed right in the middle of the path. What great camouflage it has! 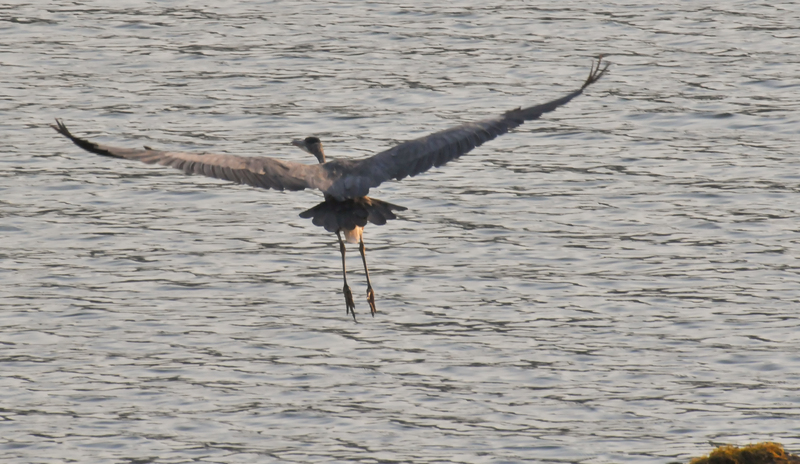 I finally reached the Great Blue Heron that I posted yesterday in that beautiful morning light. It decided I was too close and flew. Last year, we camped at Baker Bay on Dorena Lake just east of Cottage Grove. 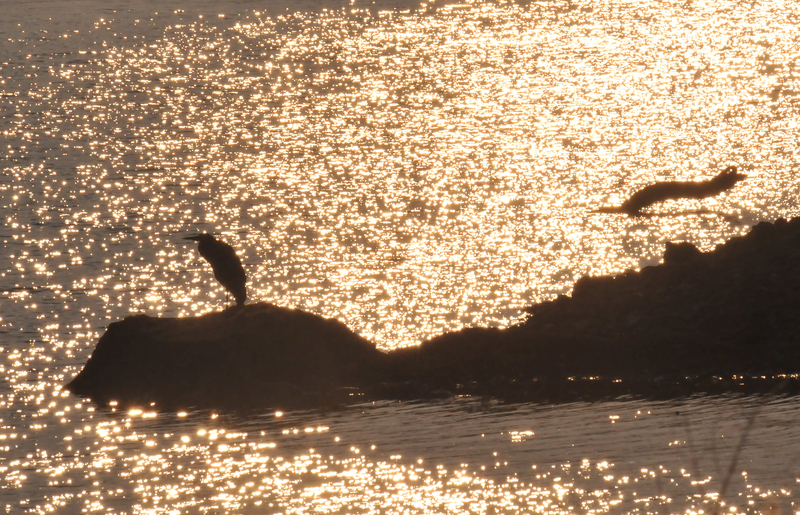 Early the last morning I took a solitary walk and saw a distant Great Blue Heron standing in this gorgeous light. Such good luck! 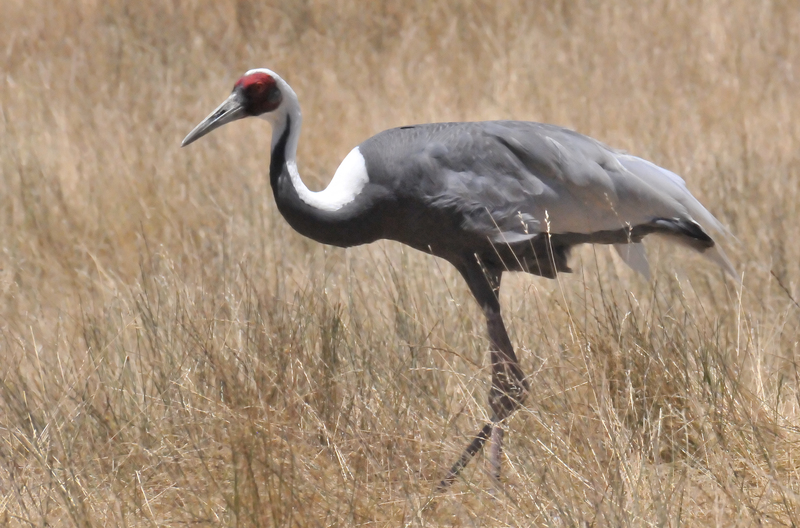 A White-naped Crane made for a dramatic sight in the dry grass. 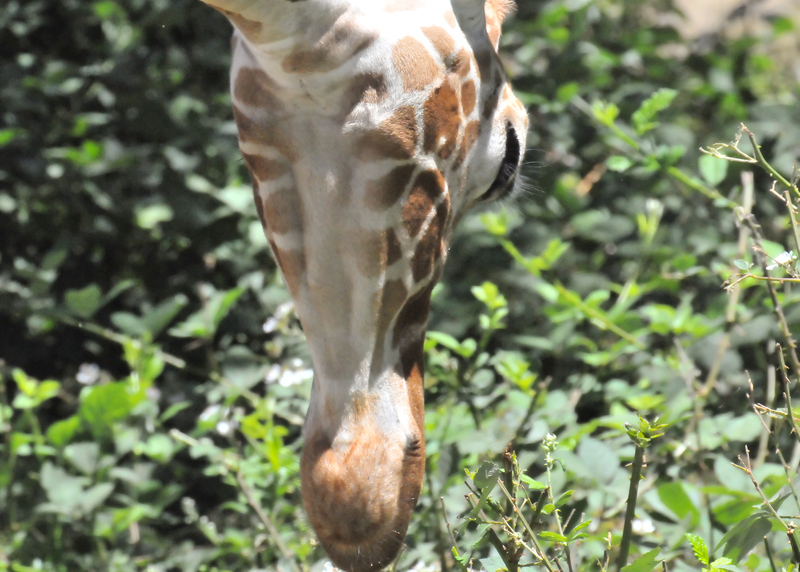 Here is the underneath of a giraffe's head. They look funny from this angle too. 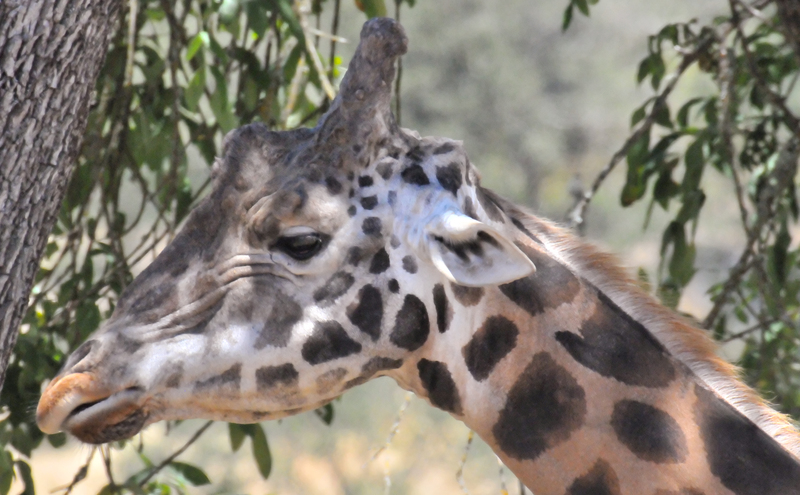 The funny lovely face of a giraffe. 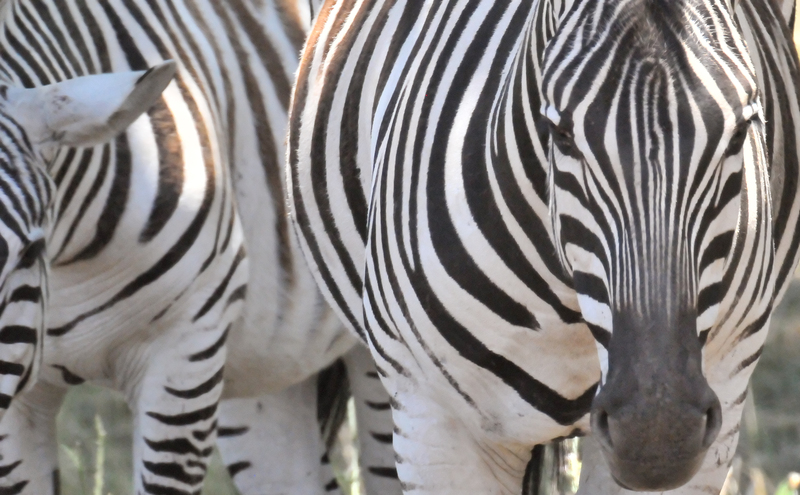 A Damara Zebra at the Wildlife Safari in Winston. I was surprised to spot this river otter in the large pond. 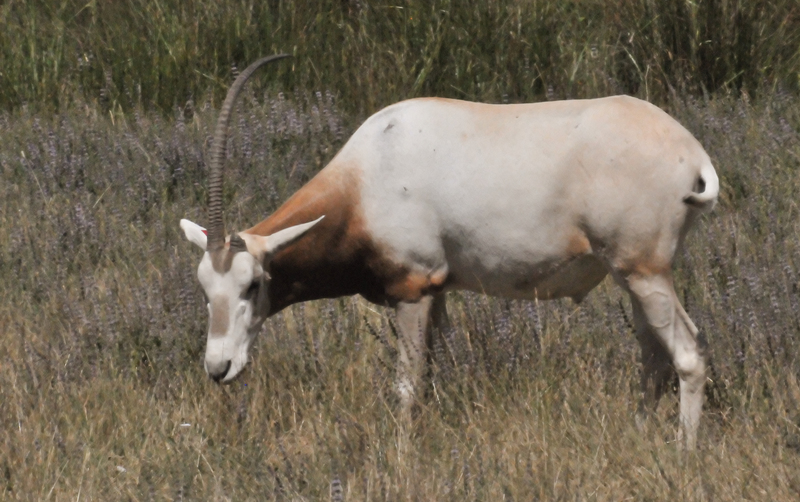 A scimitar-horned oryx has achieved unicorn status due to a missing horn. 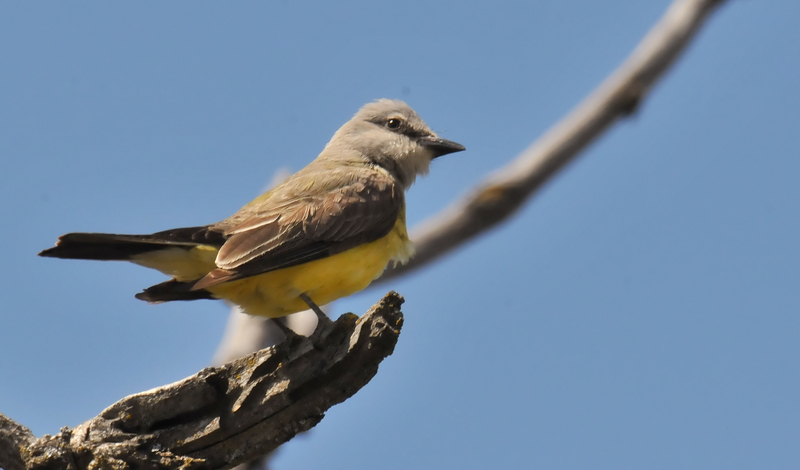 Here is the last of my Western Kingbird series. At least for now. 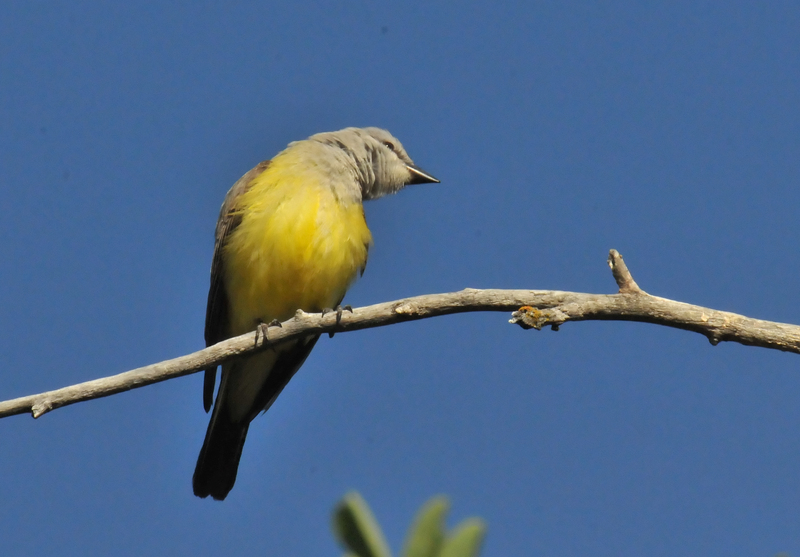 This is the same Western Kingbird I posted yesterday but two days later. A Western Kingbird occupied a tree that was only twenty feet or so from an Osprey nest. 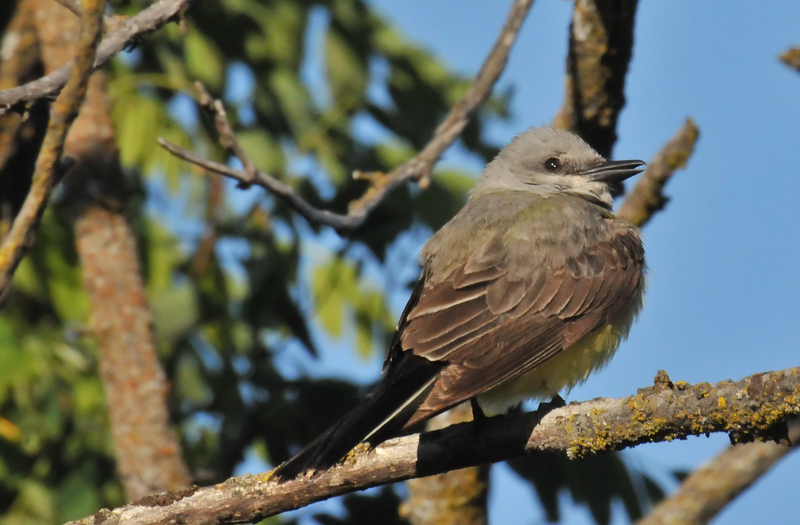 While I was in Spokane, I took daily walks on the Centennial trail and could always count on the Kingbird being there. He was a very reliable model as birds go. 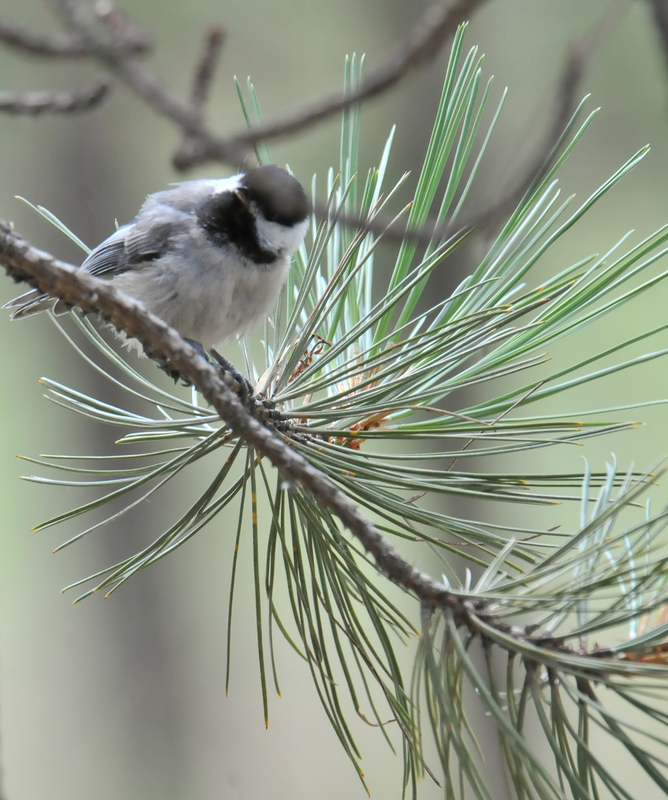 A Black-capped Chickadee looked like a Christmas card in June. 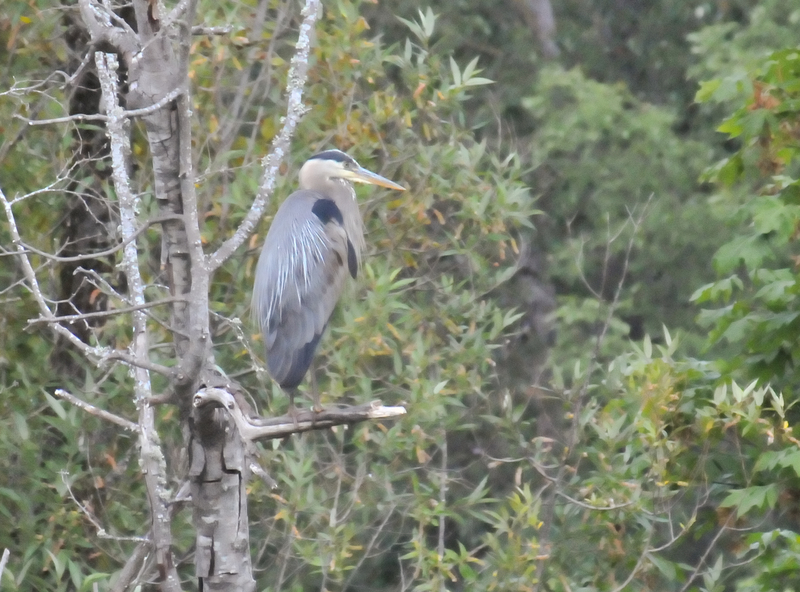 A Great Blue Heron was perched in a tall tree overlooking the Delta Ponds. 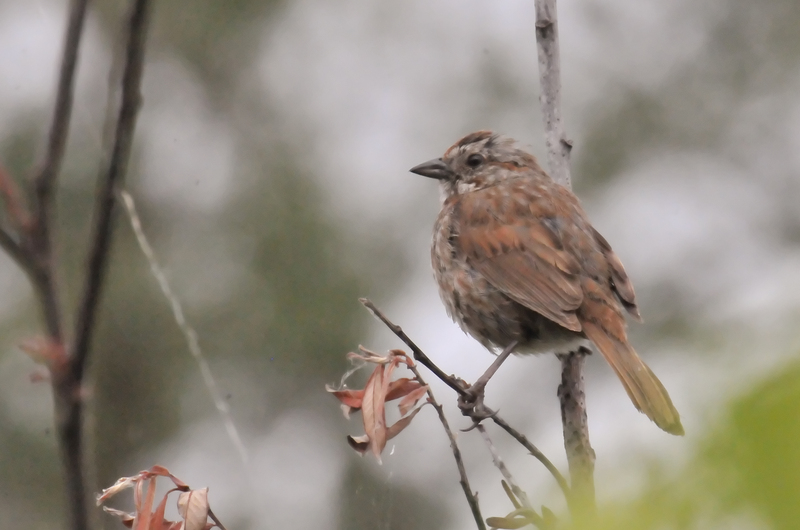 A Song Sparrow was perched on a twig near the water at the Delta Ponds in Eugene, Oregon. 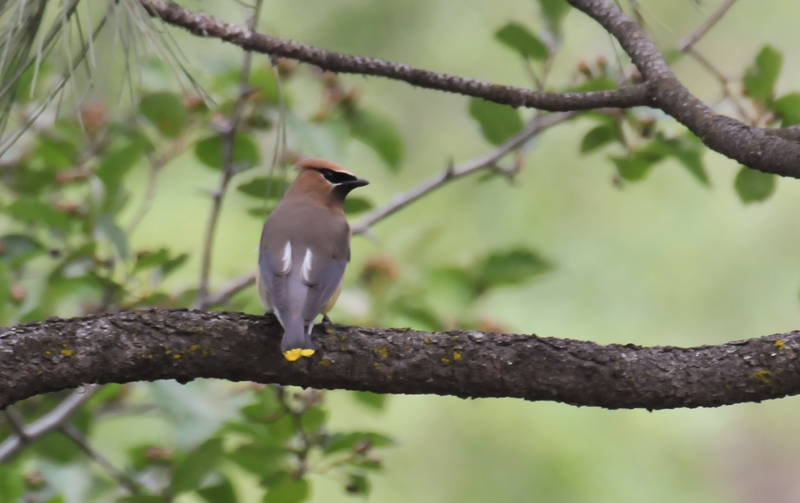 This is the same Cedar Waxwing posted yesterday. Here, you can see the markings on his wings and tail clearly. 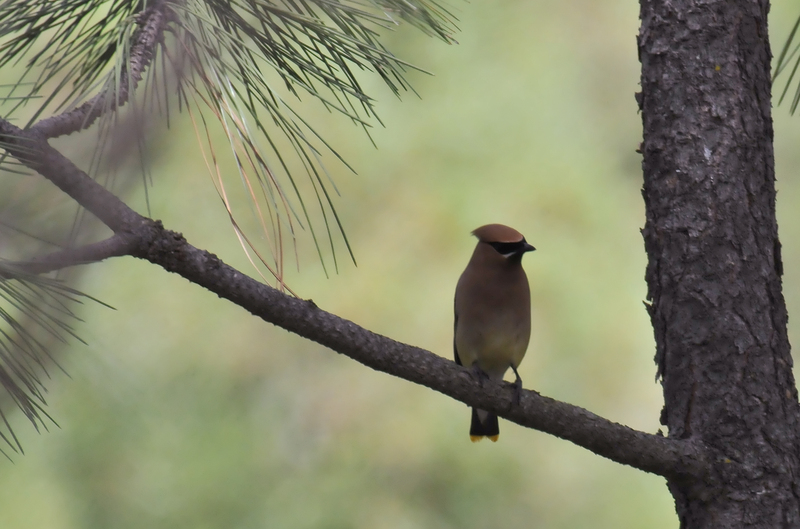 A Cedar Waxwing posed nicely, and for more than two seconds. What a gift. 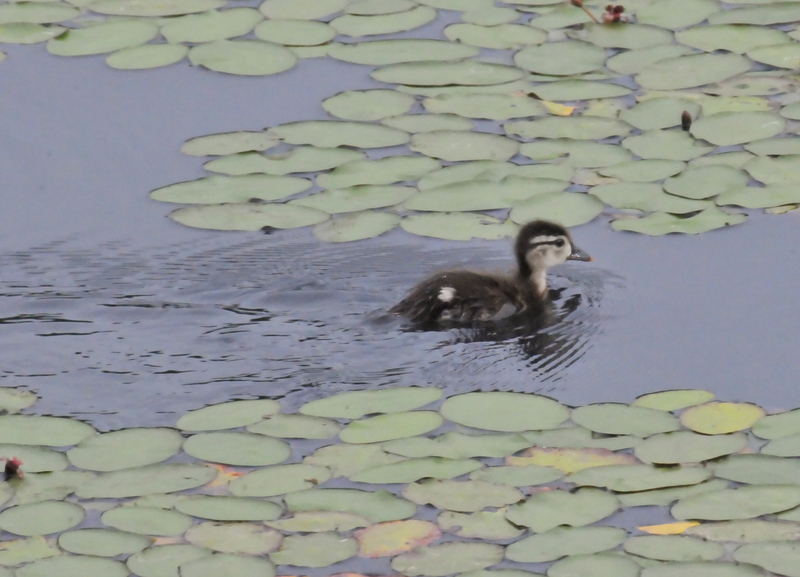 Here is one of the young of the Wood Duck posted a few days ago . 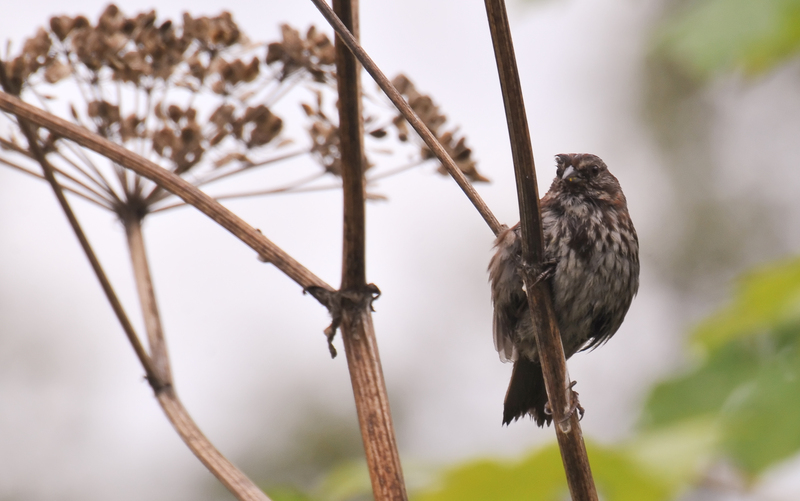 A Song Sparrow clung to the stem of dried Cow Parsnip. 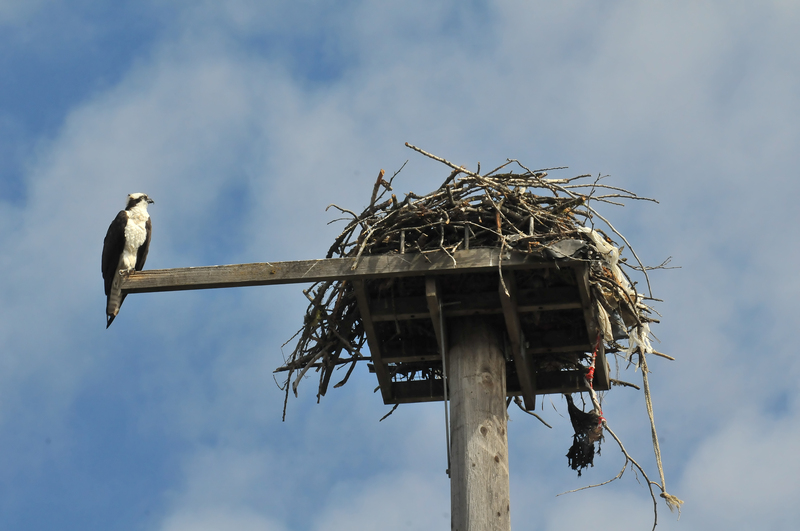 A male osprey sat near his nest above the Centennial Trail. 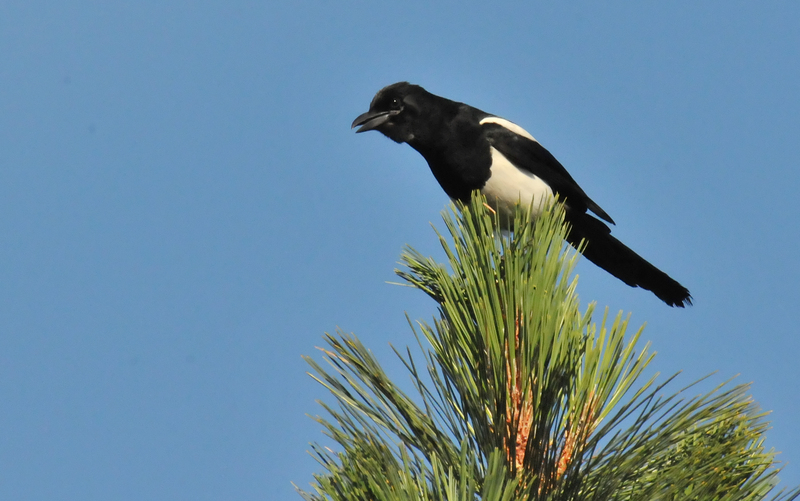 A noisy Black-billed Magpie perched on the very top of a conifer. 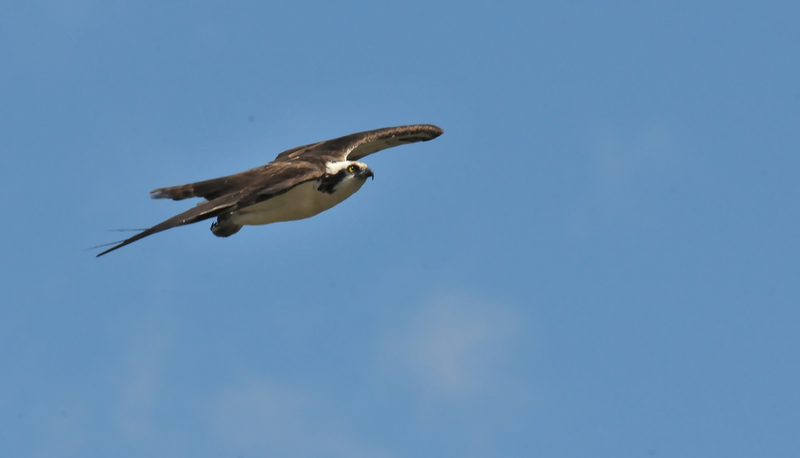 A beautiful Osprey flew above its nest. While walking back to the house where I was staying in Spokane, I noticed just the tips of a deer's ears down the slope next to the trail. 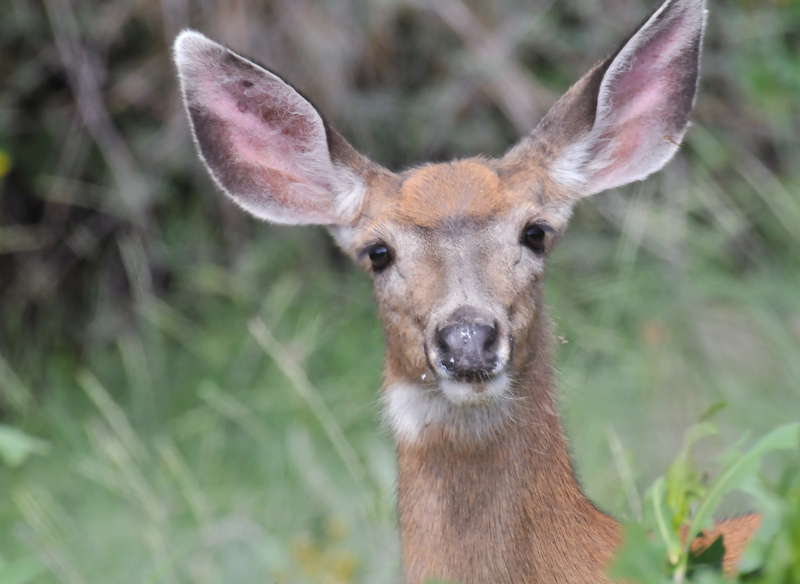 I carefully moved close enough to clearly see the sweet face of this mule deer. 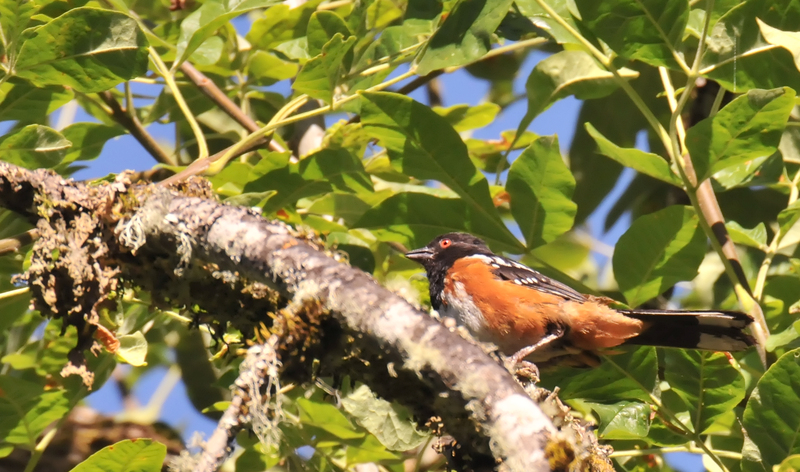 A Spotted Towhee was caught out in the open for a moment. 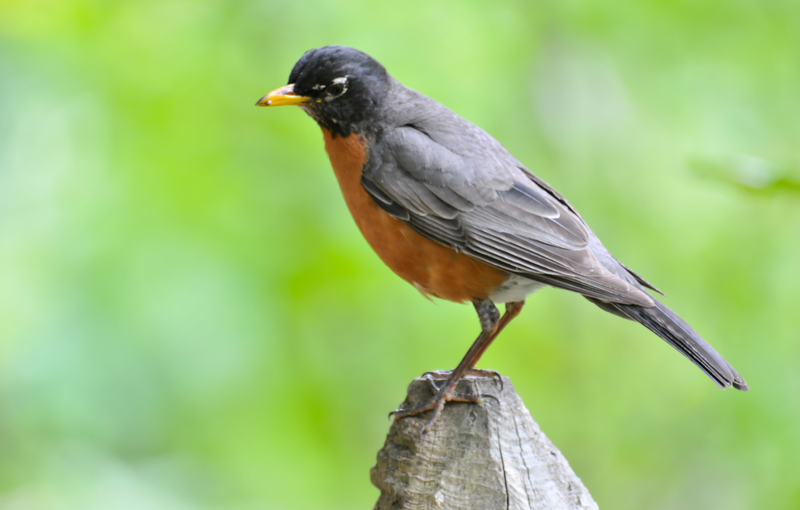 A common Robin looking uncommonly handsome atop a fencepost at Mt. Pisgah Arboretum. 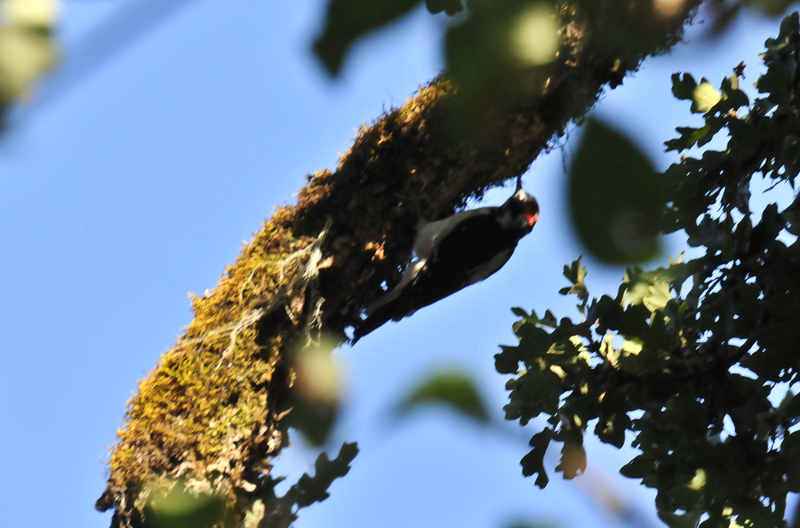 I was on one of the bird walks in Mount Pisgah Arboretum led by Julia Siporin, when I saw my first Hairy Woodpecker. 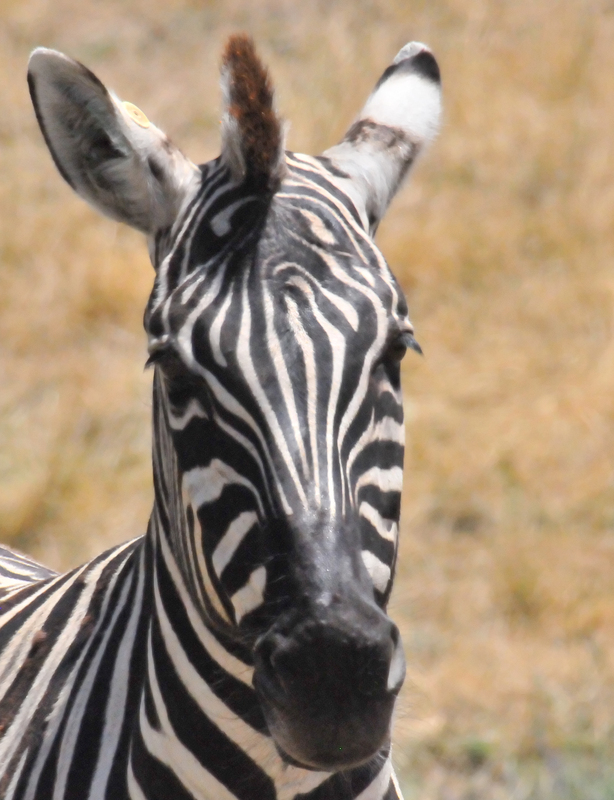 Julia was able to identify it based on the length of its bill and markings. My field guide even agreed!